The course will be discussion-based, each session being introduced and led by experienced tutors who will have access to a wide range of stimulating audio/visual resources to illustrate the themes being explored. There will be 2 discussion sessions, each session lasting 1.5 hours, on four mornings each week of the course. Discussion will focus on teasing out central themes developed in Shakespeare’s work, his use of language and dramatic devices, as well as those aspects of life in Elizabethan England which provided the context for and key influences on his writing. Art, music, fashion and architecture will be examined alongside the political and religious turmoil of the time, the opportunities for trade, and everyday life in both town and country. This is a course for those who love the plays and sonnets of Shakespeare and who also wish to explore the social, political, economic and artistic background against which they were written. All students will be expected to have an advanced level of spoken English if they are to benefit fully from the course. Each participant will receive a course programme prior to arrival which will give details of the plays to be seen on excursions. 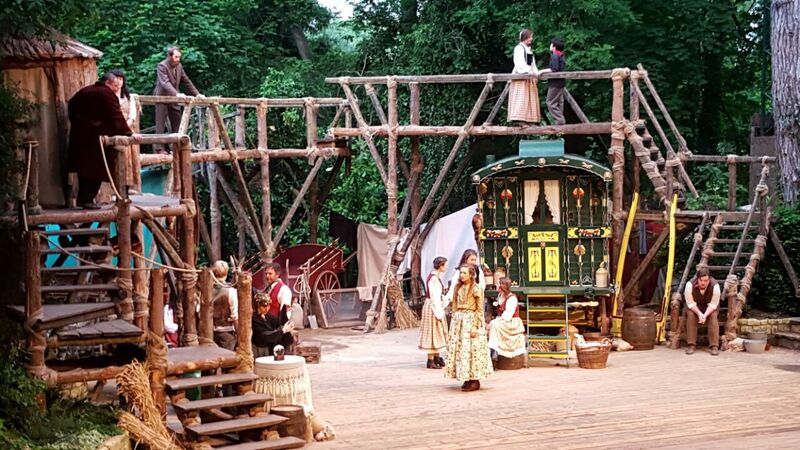 A guided full-day excursion each week, one to London and the Globe Theatre, the second to Stratford-upon-Avon, birthplace of Shakespeare and home to the Royal Shakespeare Company, will both include a performance of a Shakespeare play. A further full-day excursion during the mid-course weekend will take in Lavenham and Kentwell Hall in Suffolk, both wonderful examples of life in Tudor and Elizabethan England. An inclusive half-day visit to Burghley House in Stamford, reputed to be England’s finest Elizabethan House, and an evening performance at Tolethorpe Hall – “one of England’s premier alfresco theatre venues” – will add still further to the cultural experience of the course. Stamford Academy also arranges two evening activities each week which are open free of charge to all of its students. Accommodation can be arranged for course participants, and if requested will be charged for separately, and in addition to, the course fees. For further information on accommodation options and prices, please refer to the Accommodation page on this website. The course fee includes 16 x 1.5 hour discussion sessions in a group with a maximum of 10 participants; full-day excursions to London and Stratford-upon-Avon (both with theatre performances) and a third to Lavenham and Kentwell Hall; one half-day visit to Burghley House and an evening visit to Tolethorpe Hall (with theatre performance); free access to the Stamford Academy Evening Activity Programme. Accommodation and transfers are NOT included as part of the course fee but can be arranged and charged separately.